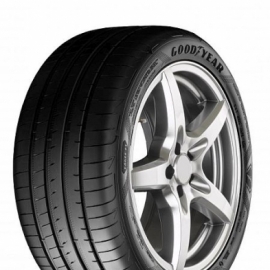 To make the review more objective we offer you to compare tyres Goodyear Eagle F1 Asymmetric 5 with any of those on which you drive. You can fill not all fields, but the more you fill, the more motorists will thank you. Eagle F1 Asymmetric 5 205 / 45 R17 6412 руб. Eagle F1 Asymmetric 5 205 / 45 R17 88 W 6769 руб. Eagle F1 Asymmetric 5 215 / 45 R17 6352 руб. Eagle F1 Asymmetric 5 225 / 45 R17 6076 руб. Eagle F1 Asymmetric 5 225 / 55 R17 7667 руб. Eagle F1 Asymmetric 5 225 / 55 R17 97 Y 8322 руб. Eagle F1 Asymmetric 5 235 / 45 R17 6055 руб. Eagle F1 Asymmetric 5 225 / 45 R18 9527 руб. Eagle F1 Asymmetric 5 225 / 45 R18 95 Y 9943 руб. Eagle F1 Asymmetric 5 235 / 40 R18 9427 руб. Eagle F1 Asymmetric 5 235 / 50 R18 10966 руб. Eagle F1 Asymmetric 5 235 / 50 R18 101 Y 11820 руб. Eagle F1 Asymmetric 5 245 / 45 R18 9100 руб. Eagle F1 Asymmetric 5 245 / 45 R18 100 Y 9426 руб. Eagle F1 Asymmetric 5 245 / 40 R19 12064 руб. Eagle F1 Asymmetric 5 245 / 40 R19 98 Y 12452 руб. Eagle F1 Asymmetric 5 255 / 40 R19 12512 руб. Eagle F1 Asymmetric 5 255 / 40 R19 100 Y 13096 руб. Eagle F1 Asymmetric 5 275 / 35 R19 13879 руб. Eagle F1 Asymmetric 5 275 / 35 R19 100 Y 14376 руб.